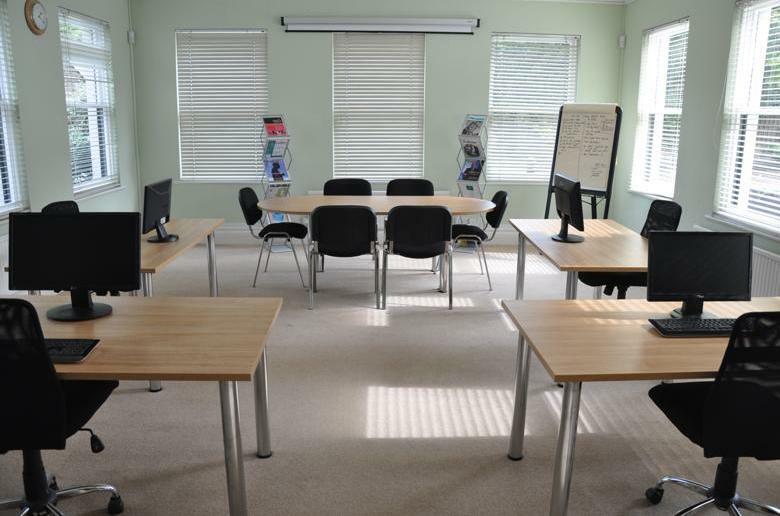 Our training facilities in Surbiton offer the option to train away from your place of work. With fewer interruptions you can really focus and get the most from our training experts. We can provide tailored training on a one to one basis or for small groups to a maximum of 10 delegates. The small numbers allow for plenty of hands on well paced tutoring and the ability for topics to be fully briefed and explored – often using your own data. For training spanning more than one day there are excellent hotels within walking distance of the training centre. The historic market town of Kingston-upon-Thames is close by with a variety of shops, theatres and cafes providing plenty of evening entertainment. If your preference is to have training provided on-site at your own offices we can accommodate this. A suitable, quiet environment for your staff to gather is required with each delegate having access to a computer. Numbers depend on your venue but we wouldn’t recomend more than twelve delegates per training session. The third option is to train via remote screen share. We can provide training from our offices to your staff as they sit comfortably at their own desks. The training can be as long or short as you wish. Short hourly slots can help to maximise the training benefit on specific individual requirements. Simply discuss your training needs with us, provide us with email addresses for the attendees and we will do the rest.